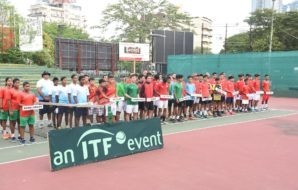 Fourth-seeded and Local boy Siddhant Banthia and Mananchaya Sawangkaew of Thailand emerged Boys and Girls Championships at the 2nd edition of the HCL Asian B1 Junior Tennis Championship hosted by leading global conglomerate HCL organized by MSLTA and PMDTA under the auspices of the ITF, Asian Tennis Federation(ATF) and AITA which concluded at the Deccan Gymkhana tennis courts in Pune. Speaking at the closing ceremony, Sundar Mahalingam, Chief Strategy Officer, HCL Corporation and Shiv Nadar Foundation said,“Today, the stars of Indian Tennis are making the country proud at the international level. 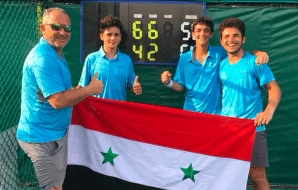 The winner got 280 ITF Points and Trophy, while runner-up got 170points and trophy. 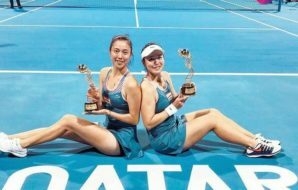 The prizes were given away at the hands of Olympian and Asian games gold medalist Dattu Bhoknal and Sundar Mahalingam, Chief Strategy Officer, HCL Corporation and Shiv Nadar Foundation. Kaustubh Shah of Tournament Director, Leena Nageshkar Tournament supervisor were present on the occasion.